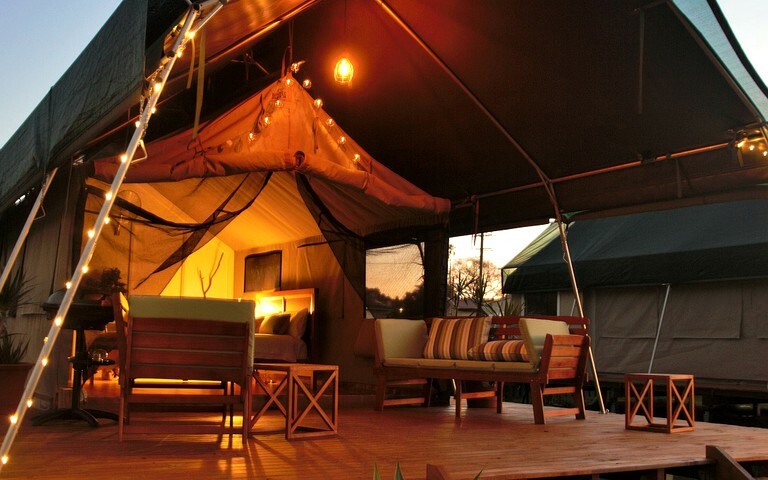 These pet-friendly safari tents are situated on Greenwell Point, New South Wales, and are the perfect glamping accommodations—created with the luxuries of a hotel accommodation in tandem with the adventure of camping. 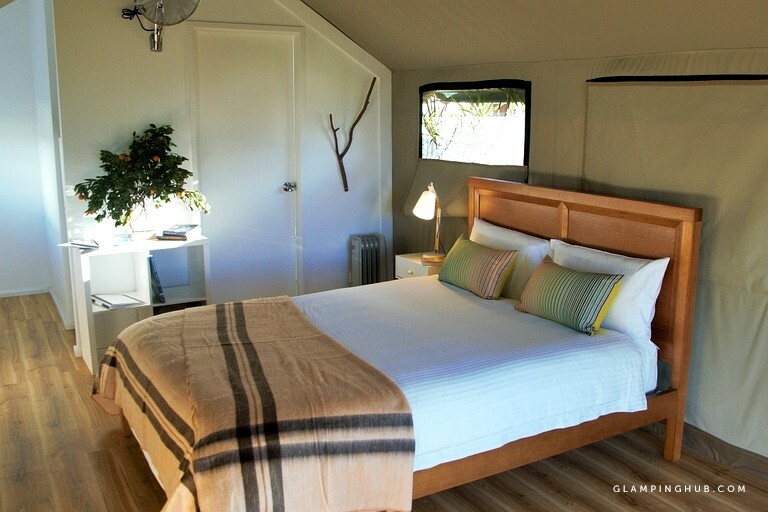 In each tent, there is a large and modern ensuite bathroom with large shower and dual shower head. The kitchen is fully equipped and includes a full-size refrigerator, microwave, kettle, and toaster. On the deck is where guests and pets will love relaxing after a day of hiking. There are daybeds, as well as a private barbecue grill for cooking up a delicious meal. 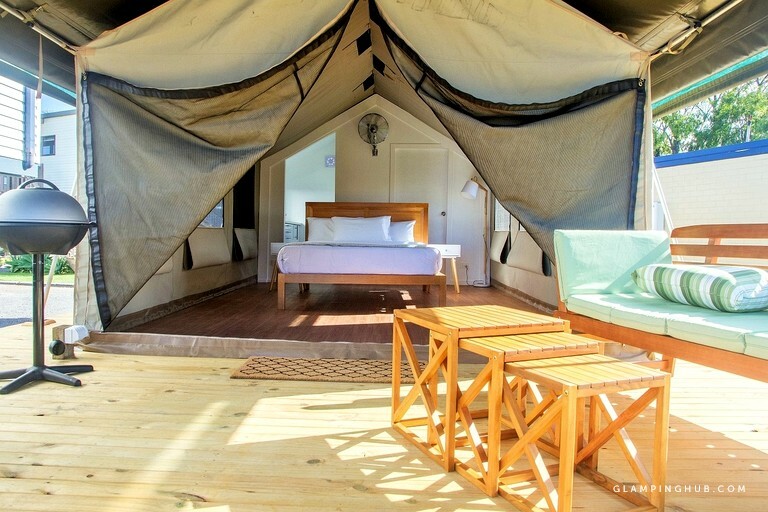 These luxury safari tent rentals will keep glampers and pets warm in winter with electric heating, warm blankets, and even an electric blanket. In summer, the south coast climate and sea breeze are sure to keep guests cool and comfortable. All our accommodation is dog-friendly all year round. We allow a maximum of 2 dogs per cabin or tent for a separate nightly tariff. Dogs are permitted (and very welcome) inside but not on furniture or in the bedrooms of 1-2 bedroom cabins. We welcome up to two friendly, well behaved dogs in all of our accommodation, all year round, at no additional charge. 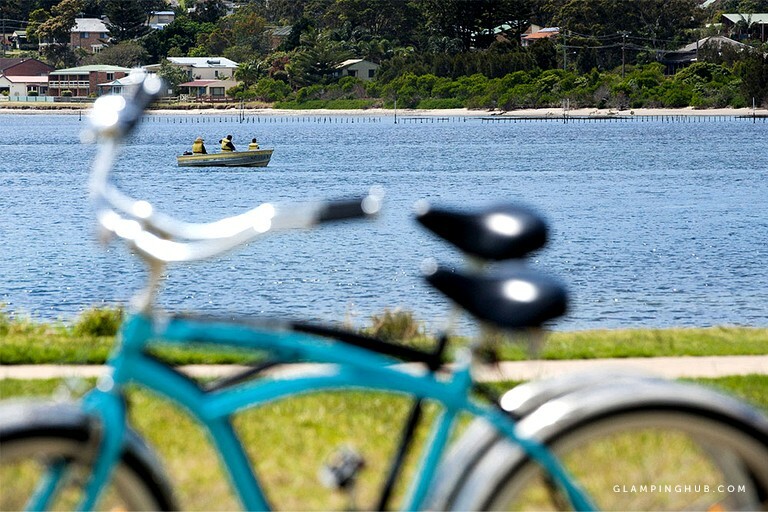 This stunning waterfront glamping property has amazing views of Crookhaven River and is located at the tip of Greenwell Point opposite the main wharf, waterfront reserve and boat ramp. 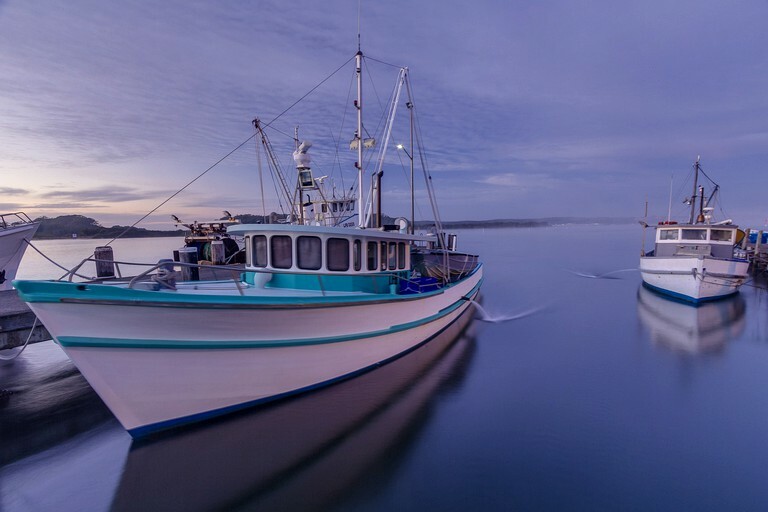 Greenwell Point is a sleepy village just two hours from both Sydney and Canberra on the NSW South Coast and is famous for its world class fishing and oysters. 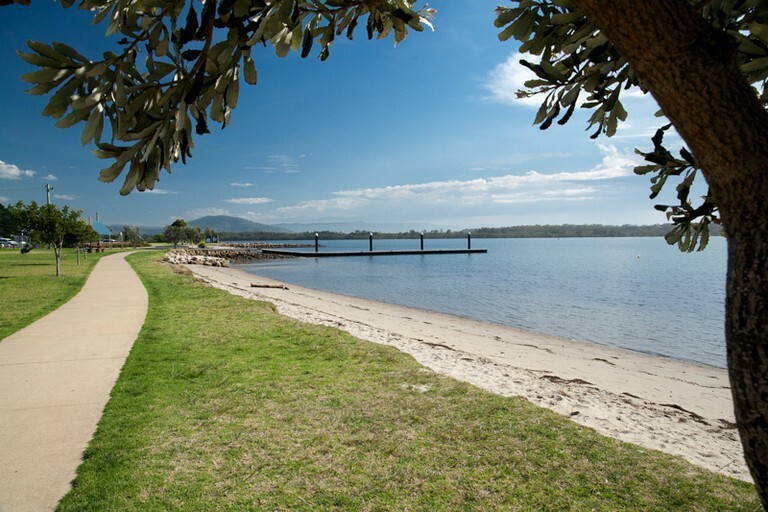 The Shoalhaven area is blessed with some of the most scenically beautiful landscapes on the east coast of Australia. The South Coast has several pet-friendly beaches. Dogs are welcome to go boating too! This glamping site is pet-friendly so guests are more than welcome to bring their beloved pets (maximum of two dogs), however, they are not allowed on the furniture or to be left unattended. No unreasonable noise at any time, particularly after 10 p.m. Failure to meet any of the above may result in the stay being terminated and payment taken for the full booking. Any charge for services to guests, or any damage, extra cleaning or loss to the accommodation or equipment at the property for which guests are responsible, that are not billed at the time of departure may be charged to the same credit card used to pay the account or to the credit card used to guarantee payment of the account. Accommodation must be left clean, tidy and vacated by 10 a.m. on the day of departure. They are also non-smoking only. There is a $200 damage deposit for this property. There is a 2-night minimum stay over the weekend. Please also note that there is a 3-5 night minimum during peak season (Summer holidays, Easter and long weekends), and a 2-night minimum during other holidays. The prices for Sundays are also subject to change. Please inquire with the host.